From down here to all the way up to Sines is the National Parc "Costa Vicentinal", so we are surrounded by a beautiful, pure nature ! It's a great area to go for walks, hiking, or to hang out on the amazing beaches, to go surf in the famous waves and to just spend a great surf holiday ! 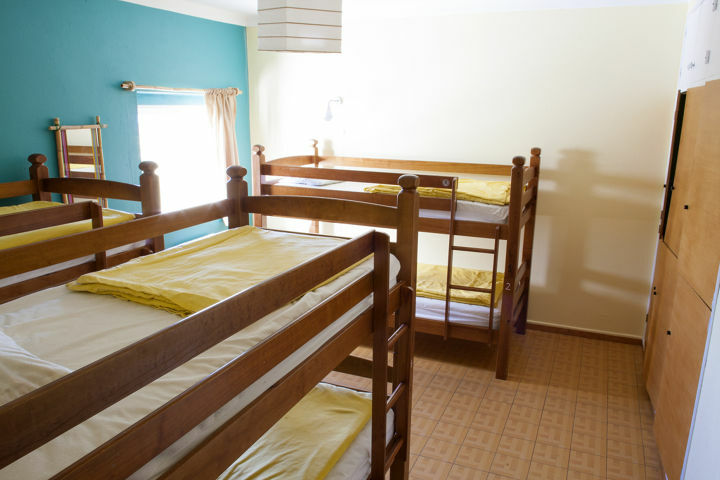 We are a homely, friendly hostel where you can meet new friends, learn to surf, do lot's of other great activities and have a great time. 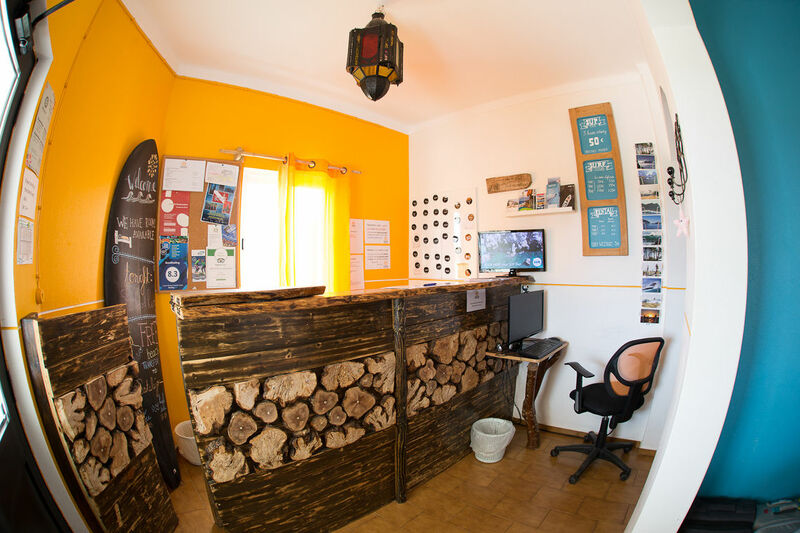 It is run by two Portuguese surfers who are always here and willing to help and advise you on how to make the most of your stay in this beautiful part of Portugal. We have all kind of different rooms, private rooms, dorm rooms and studios. There is a big kitchen where you can cook yourself and a huge livingroom with tables to eat and talk as well as a comfy relax-corner with couch-balls, a big TV, lot's of DVDs. Around the house there is a terrace with hammacks, a BBQ-Area, and places to relax. 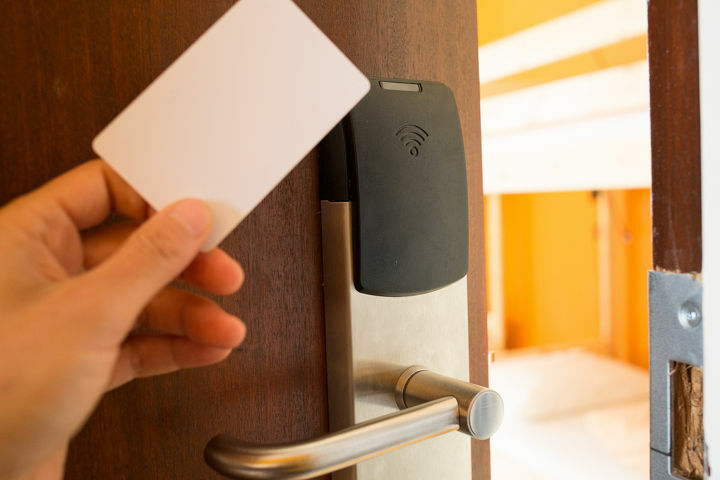 We are constantly improving our place for you to make it even better ! 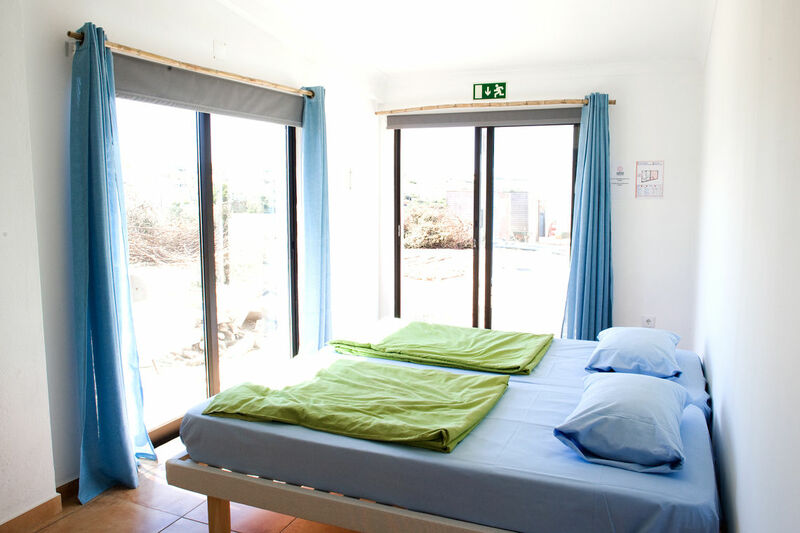 The Studio is in a separate house, so you feel like in your own apartment, with your own bathroom as well as own small terrace with hammocks. For cooking you can use the kitchen in the main house, as well as the living-room with TV, Satellite and other facilities. We have all the meals available but is not include in the price. We have a big Kitchen full equipped with fridge per room were you can cook. There are many more restaurants, bars and shops to find in Sagres. Every day we take the guests in our vans to the best beaches in the Algarve for free. Depending on which beach you want to visit, sometimes these transfers are a true surf safari, giving you the possibility to surf awesome waves whilst enjoying the epic nature around you. 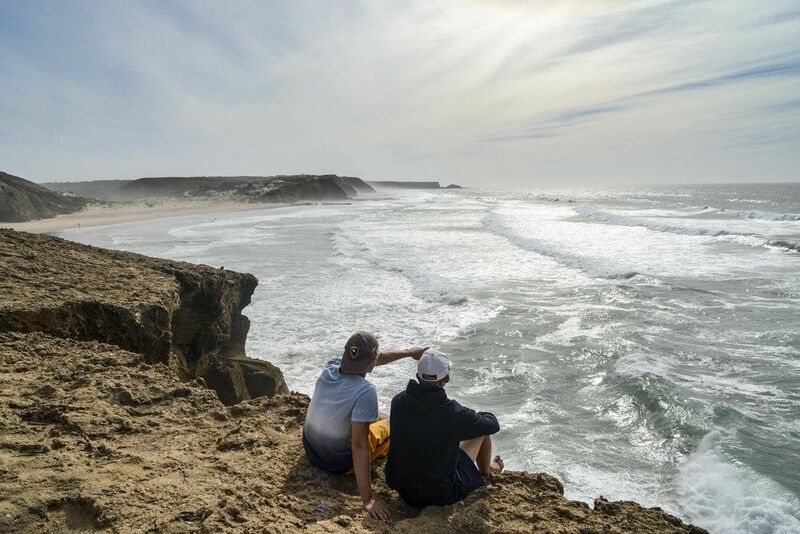 Experience the beautiful coastline of the Coast of Vicentina, it's rough cliffs and it's caves, birds and fishes, from another pint of view - the water!We take you for an exciting 3:30 hours SUP-Trip, from a wonderful beach close to our hostel. We visit caves, by SUP or swimming, you can jump from a cliff and enjoy the wonderful nature. The tour is very easy and really beautiful! All these beaches are super beautiful and also for non-surfers really enjoyable!We are experienced surfers and show you the best spots around here! 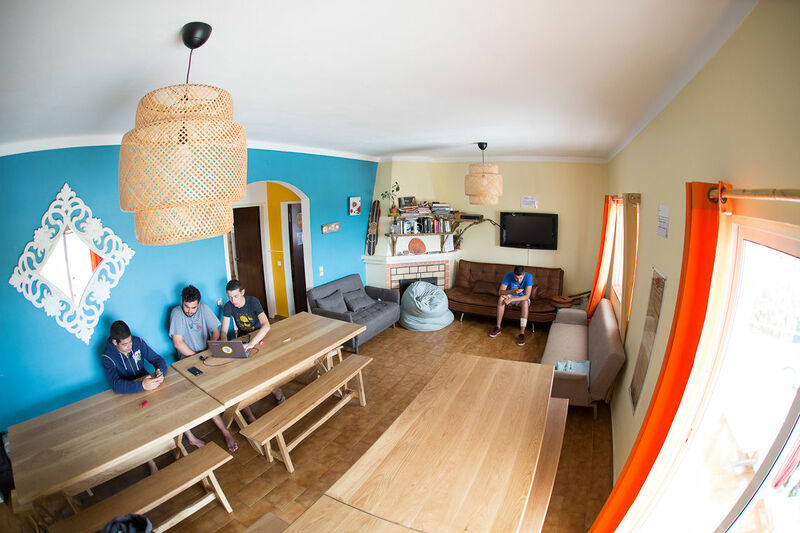 We will bring you to the once which will be working and will be the best for your surf-level! We are looking forward to bring you around!Transfers to the beaches are free. We bring you to one beach a day and pick you up later at the time arranged!If you want to get a Surf Guide to travel with you from spot to spot to find the best waves of the day, contact us. 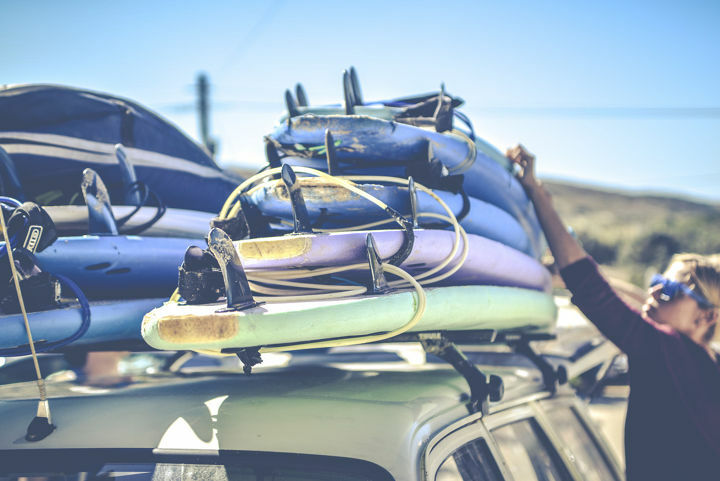 If you are packing light and aren't bringing a surfboard with you, then don't worry - you can rent one of our surfboards at great value. You want to learn surf or are you fancy brushing up on your surf skills ? Why not get some lessons from a qualified teacher ? You'll improve your surfing way faster than you ever could otherwise ! Praïa de Odeiceixe: A sweet beachbreak sheltered from the winds by the cliffs. Cogumelo: Splendid peak coming from a big rock and strongly breaking as far as the inside. Malhao: Might be ultra consistent – transparent water and nice surf – located in the Villa Nova zone. Monte Clerigo: A pretty beach 40 km North of Sagres. Handles well the heavy swell in some sand-banks. Arrigana: A shifting spot – in heavy swell, a right that works from 2 meters and can end up explosive (watch out for the rocks!) as high as 4 meters. For confirmed surfers – in the middle of the bay, a little tubular left in small swell. Carrapateira: Sand-banks to select – Can turn out fantastic – not many people in the water and sufficiently sheltered from the wind. Amado: A solid spot at the end of a soil track. Sheltered from the Northern wind. Cordana: Isolated beach. Blend of sand barrels and rocky plates. Works well in summer and fall – winter winds sweeping away too much the spots – nice lefts to explore. Belixe: Near Sagres – good swell – might be hollow and powerful – watch out for locals and the army of bodyboarders rolling down the tubes. Tonel: Have to take the swell up North to work like Belixe. Zavial: clear water as crystal, nice right tubes on a sandy and rocky bottom – works in heavy swell. Rocha Negra: A famous spot in Portugal – in the West of Lagos – works as far as 2 meters – nice left tubes – lots of people in the water. Lagos: All around the city, various quality beachbreaks to explore by “Levant”.